While defect reduction is a critical goal for all manufacturers, creating a “zero defect culture” significantly raises that bar – prompting a whole new way of thinking. It requires that manufacturers explore a new perspective and consider a more holistic approach for addressing the defect problem. Undertaking a zero defect initiative in today’s complex automotive engineering environment is fraught with challenges. Each vehicle is much more technically advanced, and more connected with higher degrees of complex systems integration and interdependence, than ever before. The introduction of autonomous driving brings this complexity to new heights. The challenge grows exponentially when you consider that an automotive product family can typically number in the millions – and the variation across the products in this product family is literally astronomical in scale. To make progress toward a zero defects goal, an automotive manufacturer must not only reduce the mounting complexity of engineering its products, but also effectively manage rapidly increasing product line diversity. The company’s business and technical leadership must shift the mindset of its organization away from the traditional siloed view – where each organizational function operates as a separate entity – and toward an integrated systems engineering way of thinking and an integrated enterprise-wide approach. Siloed organizational functions using outmoded tools and processes are ill-equipped to handle growing product complexity, which in turn, increases the risk of defects. When each discipline across the engineering and operations lifecycle – from portfolio planning to design, requirements, testing, manufacturing and beyond – has its own tools, processes and language, dealing efficiently with defect issues is practically impossible. The organization is left to focus on treating symptoms, rather than addressing root causes from an overall systems perspective. Let’s consider the traditional product-centric engineering approach where individuals and product teams work on a specific car model. For example, a common practice for sharing software code is “clone and own,” where duplicate copies are created and shared across the products in the product line. How can a defect in the code of one product be efficiently located and fixed across the many iterations that were implemented under this product-centric approach? Due to the interconnectedness of systems, when a problem arises it typically extends beyond the purview of any one person, team or group. How can this problem be effectively remedied when it has to be decomposed into sub-problems or elements that each product team works on separately? Ultimately, everything has to come together and interoperate seamlessly as one complete system. This product-centric approach, and absence of an integrated systems view, creates tremendous communication and coordination challenges across the siloed teams. The complexities of defect management quickly become insurmountable, and the quality implications are obvious. This is where Product Line Engineering (PLE) comes in. When building a product line, organizations using PLE adopt an approach analogous to a factory. A PLE Factory is much like a typical manufacturing factory except that it operates on digital assets rather than physical parts. PLE allows an organization to create a “superset” of shared digital assets that are equipped with all the feature options offered in the product line. 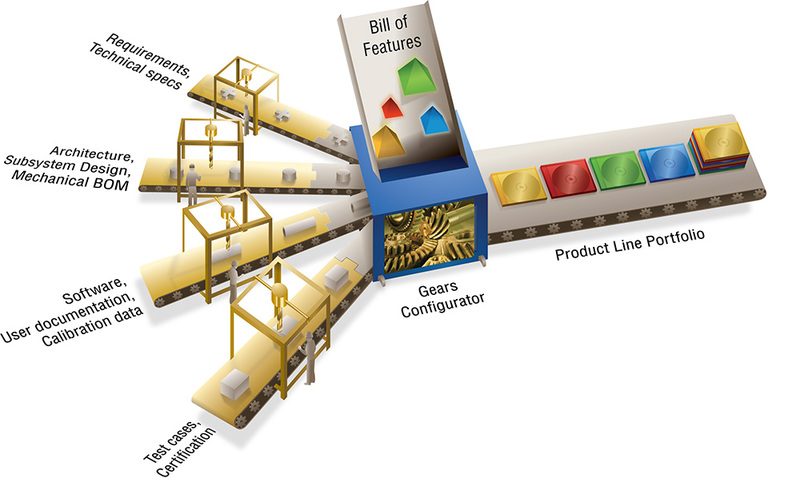 The PLE Factory provides an automated production system that assembles and configures these shared digital assets based on the features selected for each product variation. PLE allows an organization to establish a “single source of feature truth” for the entire product line, eliminating the need for multiple feature management mechanisms across tools and organizational functions. Features become the common language for all functions throughout the enterprise – a shared way of describing, understanding and managing product features. Using features as the common language breaks down silos and brings dramatic improvements in communication, collaboration, interoperability and alignment. With the PLE Factory, all of the features in the products across the product line come from one superset of digital assets, and traditionally manual processes are fully automated. As a result, defects in one product can be easily found, fixed once in the asset superset, and new product versions can be automatically generated. PLE’s streamlined, automated approach, and the common language it establishes, removes human error and simplifies the entire defect management process – putting an organization on the path to achieving its zero defects goal. PLE has proven highly effective as a formal discipline and unified variation management solution that dramatically reduces the complexities, risk and costs of defect management. When you consider that defects can cost an automotive manufacturer billions of dollars each year to correct, not including the legal and financial costs, irreparable damage to brand reputation and potential lost sales – achieving zero defects is more critical now than ever. 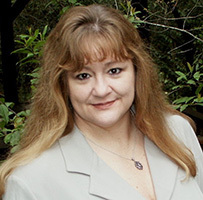 Cathy Martin is Vice President at BigLever Software, a long-standing leader in the Product Line Engineering (PLE) field. She can be reached at cmartin@biglever.com.